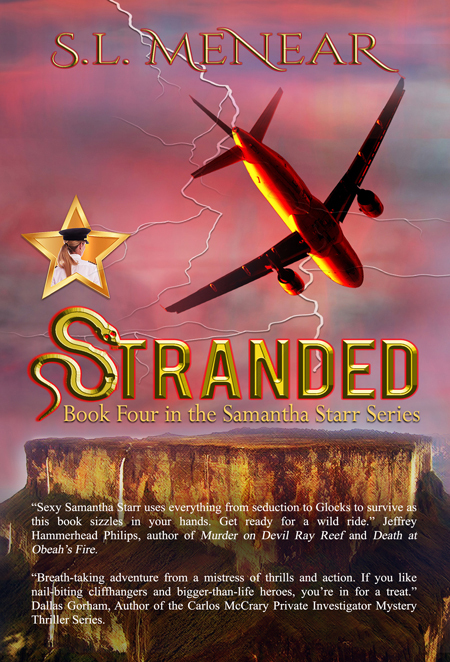 Airline pilot Samantha Starr is on the adventure of her life, an unexpected one headed for disaster. Stealth submarines, Scottish castles, Antarctic ice chasms, deep-sea dives to an underwater city near Cuba, and a secret enclave in the frigid Himalayas test Sam’s survival skills. World powers, nefarious groups, and an evil billionaire are hot on the trail of an ancient weapon of mass destruction that can only be activated by Sam’s touch. Her twin brothers in the Navy join forces with two airline pilots and Sam’s Scottish boyfriend in an effort to save her and half the world’s population. As time runs out, will Sam make the ultimate sacrifice? 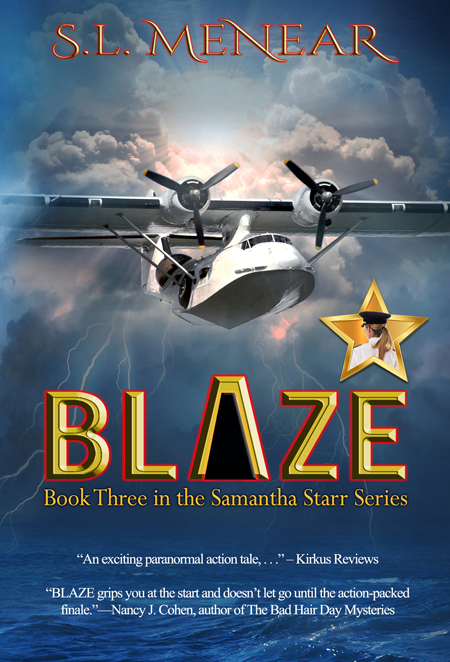 BLAZE is the third fantasy action thriller in award-winning author S.L. Menear’s Samantha Starr Series.